Shri Tapodhani Aluminium Trading Company I would like to introduce our company Shri Tapodhani Aluminium Trading Company that has been in business of trading for the past 51 years. Our founder and mentor Late Sh. Nand Kishore Jain started this business in 1966.After his death his son Mr. Narender Kumar Jain continue this company with same value. We are the authorized stockiest of Aluminium Rolled Products for Hindalco Industries Ltd, a widely trusted name in the Aluminium industry. As a bonafide stockiest and supplier of its products we have acquired profound knowledge on Aluminium Products and expanded Supply Chain Networks. The wide which we have gained through working closely with Hindalco has given us the confidence for smooth handling of any kind of bulk consignments. So we are having a bulk amount of Aluminium Sheet, Aluminium Coil, Aluminium Ingots, and Aluminium Extrusions etc. We provide solutions for aluminium raw material requirement in all types of grades to various industries. In addition to whole range of "M/S HINDALCO INDUSTRIES LIMITED" we also IMPORT and supply the higher grades of aluminium raw material. We also provide stock facility to our regular customers. We provide solutions for aluminium raw material requirement in all types of grades to various industries. In addition to whole range of "M/S HINDALCO INDUSTRIES LIMITED" we also IMPORT and supply the higher grades of aluminium raw material. We also provide stock facility to our regular customers. Our keen knowledge of the aluminium and stainless steel metal industries has helped us to develop solutions that answer the needs of today’s client. This solution increases your sale, reduce your expanses and increase customer satisfaction. We are deal in various industries like thermal insulation, hot and cold insulation, ceiling fan blade, air filter, pressure cooker and utensils, auto parts, metal components, building door- window fabricators, expansion joint, led. Bulb, aluminium expandable jaali, speaker horn and our main customers are Thermex Ltd, AAF India P Ltd, Dhampur Sugar P Ltd, DSM Sugar Ltd, Kiran Cookware Industries, Lazers Fans Ltd, Punjab Lighting Ltd, Capital Radio, Ahuja Radio Etc. Our office is situated in the heart of Delhi (Pahad Ganj, Connaught Place), Warehouses at Delhi, Haryana (sonepat), Haryana (Faridabad), Punjab, Rajasthan (Bhiwadi) and Uttar Pradesh (Renukoot) which assists us in co-coordinating efficiently with the Supplier to meet the product demands of our clients at any given point of time. Aluminium Alloys Plates and sheets in various alloys for various industries very wide range of thickness and width and length available in our warehouse. Please fill free to contact us. We are the authorized stockist of Aluminium Extrusion and Rolled Products for Hindalco Industries Ltd, a widely trusted name in the Aluminium industry. As a bonafide stockist and supplier of its products we have acquired profound knowledge on Aluminium Products and expanded Supply Chain Networks. The wide which we have gained through working closely with Hindalco has given us the confidence for smooth handling of any kind of bulk consignments. So we are having a bulk amount of Aluminium Sheet, Aluminium Coil, Aluminium Ingots, Aluminium Extursions etc. We provide solutions for aluminium raw material requirement in all types of grades to various industries. In addition to whole range of "M/S HINDALCO INDUSTRIES LIMITED" we also IMPORT and supply the higher grades of aluminium raw material. We also provide stock facility to our regular customers. We provide solutions for aluminium raw material requirement in all types of grades to various industries. In addition to whole range of "M/S HINDALCO INDUSTRIES LIMITED" we also IMPORT and supply the higher grades of aluminium raw material. We also provide stock facility to our regular customers. Aluminum is a non ferrous metal and it's easy to shape, plasticity and suitable for all types of machining. After stamping, bending, surface treating, machining processes and shaping it's performance can be perfect to meet the production of various Aluminum products. Selection of high-purity aluminum base and applying unique production technology makes our material very much consistent in it's quality. We offer the best quality high purity aluminium parabolic reflectors with electrochemically brightened finish which are manufactured under stringent standards with the reflectivity of more than 85% and the efficiency of the lamp lighting can enhance more than three times. 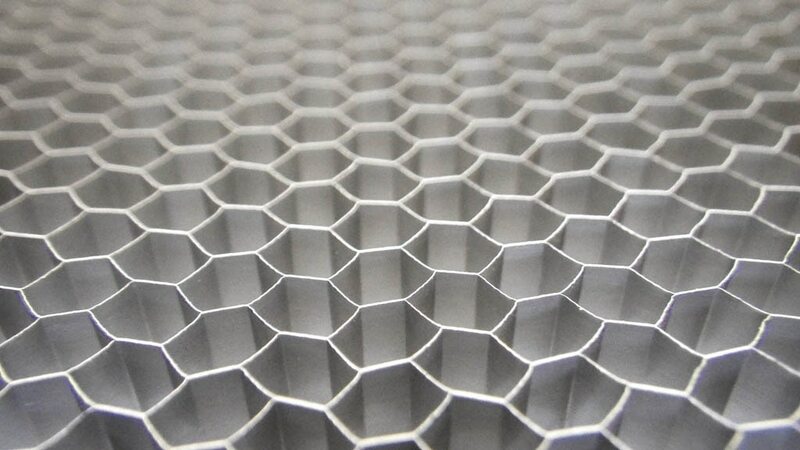 It's non corrosive and highly durable for more than 10 years under indoor normal room temperature.This material has been widely used as lamp panel reflectors and in the luminaries industries. Aluminum Mirror Reflectors Application: lighting , reflective and decorative lamps , solar reflective materials, , interior decoration, wall decoration, household appliances, panels, electronic housings, furniture, kitchen, automotive interior and exterior decoration, signs, labels, bags, jewelry boxes and other fields. Aluminium Extrusion is used in various industries and one of major industries is expansion joint industries. We manufacturer and Wholesaler of aluminium extrusion in north india.